The following data has been collected from current SunRock Solar customers to show what each has made by selling their SRECs produced by their installed systems. We were able to collect information from 13 out of 21 of our residential PV customers. Four systems are still waiting for state certification, and data is not available for the others at this time. It does not reflect the SRECs that our commercial customers have sold, nor does it reflect those that have contracts for their solar hot water systems. Contracts are no longer available for SHW customers. The SolSytems customers have all signed contracts so they have received the same amount for each SREC. SREC prices range from $200.00 to $303.00. The SRECTrade customers put their SRECs up for auction when they are produced and their sale prices vary. SREC prices range from $265.05 to $372.93. Customer 8 puts their SRECs for sale on the GATS billboard and companies deal directly with them to buy the SRECs. These SREC prices range from $325.00 to $385.00, which is the most anyone has received. Data was collected through the end of February 2012. *Customer 8 has produced four additional SRECs but has not put them up for auction yet. Sycamore Township has decided to sign a 3 year contract with the Washington D.C. based company Sol Systems. Sol Systems has agreed to pay the township $303 for each renewable energy credit they produce. All this passive income for the township will amount to about $21,816 each year. Sycamore Township installed a photovoltaic solar array at Schuler Park on Deerfield Road behind the fire station. Sol Systems has a partnership with SunRock Solar and many of our customers have signed contracts to sell their SRECs. SunRock Solar is mentioned in a September issue of the Business Courier in an article entitled, “Rocknoll a Pioneer in Local Wind Turbine Technology.” The article talks a lot about wind power and turbines that are going up in the area, but solar power is also mentioned as a system that is often combined with wind technology. The following excerpt was taken from the article and features our work for the company Recto Molded products and its owner Per Flem. 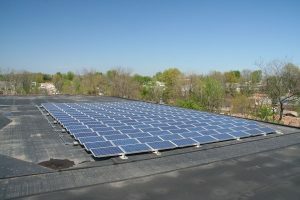 A proven success is Recto Molded Products in Oakley, which had 198 solar panels installed in December 2009 by Blue Ash company SunRock Solar. Recto Molded owner Per Flem estimates the company will have a revenue of about $17,000 per year on renewable energy credits. That doesn’t even factor in the savings on reduced electricity consumption. “There’s absolutely no question that there’s not a two-year payback on this project,” Flem said. It cost $260,000 to install the panels. The state of Ohio paid for half of the project and the federal government paid 30 percent. With an added tax depreciation, Recto Molded’s net out-of-pocket cost to install the panels was somewhere around $50,000. We think it is pretty cool too. The term SREC stands for Solar Renewable Energy Credit and is a tradable credit that represents all the clean energy benefits of electricity generated from a solar electric system. Each time a solar electric system generates 1000kWh (1MWh) of electricity, an SREC is issued which can then be sold or traded separately from the power. 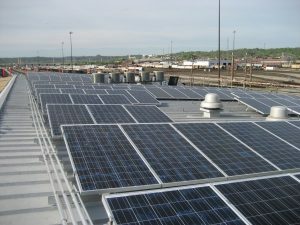 Ohio SRECs are currently trading for $320 – $350 per SREC, or $0.32 – $0.35/kWh so SRECs generated by your photovoltaic system are worth two to three times the retail cost of the electricity they generate. These SRECs represent an income stream to owners of solar power systems which helps pay for the cost of the system while the electricity produced reduces the owner’s utility bill. So you can save money on your utility bill and get paid for being a good citizen of the planet and generating clean, renewable energy! SRECs can be sold on an as generated basis, or some buyers are offering upfront payments for 5 to 10 year contracts on all the SRECs your system can generate. A Renewable Portfolio Standard (RPS) is a state or federal policy that requires electricity suppliers to provide a certain percentage of their electricity from renewable energy resources. More than 30 states have RPS programs, and many of these states have solar RPS requirements that specifically mandate a minimum percentage of energy be produced from solar energy sources. Energy suppliers meet RPS requirements by creating or purchasing SRECs, or by paying a non-compliance fine to state regulatory authorities. In short the public utilities of Ohio have some legislated mandates to produce more clean energy each year until 2024 when they will be producing 25% of their power from renewable resources. As mentioned above the utilities must show that .5% of their power is coming from solar, and if they can’t meet that they have to pay a Solar Alternative Compliance Payment (SACP). The SACP is the amount that utilities must pay per MWh (or per SREC) of solar electricity that they are unable to generate themselves or buy rights to through SREC purchases in order to meet the state Renewable Portfolio Standard (RPS) solar requirement. Utilities that cannot meet their compliance standard are buying SRECs as long as the price is less than the SACP. Utilities incur costs in purchasing SRECs, so the maximum price they are willing to pay may be below the SACP. For instance, if a utility calculates that the cost to purchase an SREC is $50, they may not be willing to pay more than $50 less than the SACP. At that price, they can save money by simply paying the SACP. The SACP is fixed in any given year, but the price of SRECs varies based on the market forces of supply and demand. Currently Ohio SRECs can be sold in Ohio, Pennsylvania, and the District of Columbia. Michigan just adopted an RPS starting in 2010 so they may be added to the list. Kentucky, West Virginia, and Indiana do not yet have RPS legislation in place. The market is growing and changing quickly so check back for more updates. SREC stands for Solar Renewable Energy Certificates or Solar Renewable Energy Credits. Some states, like Ohio, have a Renewable Portfolio Standard (RPS) that requires electricity suppliers to secure a portion of their electricity from solar generators. An SREC is created for every megawatt-hour of solar electricity created. If you have a 10kW PV solar system you will receive about 1 SREC per month or 12 SRECs per year. The amount that is paid for each SREC is determined by the market and subject to the constraints of supply and demand. SRECs are sold separately from the electricity and represents the solar aspect of the electricity that was produced. Sale of SRECs is intended to promote the growth of distributed solar by shortening the time it takes to earn a return on the investment. 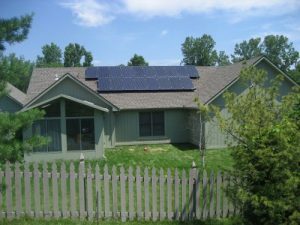 SRECs help the states reach their Renewable Portfolio Standard , and help the PV owners see a quicker return on their investment. Overall they help promote the growth of disttributed solar systems throughout the states. 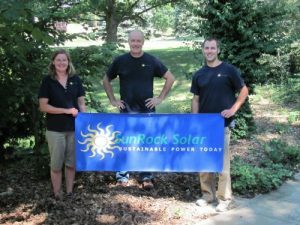 A message was received on May 17, 2010 informing SunRock that Sol Systems is temporarily discontinuing its solar thermal SREC program for all states except Washington DC. 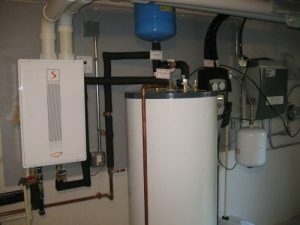 Sol Systems was the only company accepting SRECs from solar hot water systems from our Ohio customers. According to their email, there have been significant changes in the solar thermal market. Exelon, a large Mid-West utility, recently imported a 10MW project into the Washington DC SREC market, which is the only market to currently accept solar thermal systems. This Exelon system will produce around 11,000 SRECs annually, which is more than 4 times the total size of the overall market. This means its SRECs will completely overwhelm the demand for SRECs in the DC market. In new markets like this, a significant oversupply of SRECs will decrease SREC values dramatically. It may be that in the near future out-of-state SRECs will be worth nothing in DC. Because Sol Systems have utility-backed customers, they should be in a good place. Customers working with Sol Systems competitors in the spot markets or who have not backed up their portfolio (and there are many of both) probably are not. It appears as if the SunRock customers already registered with SolSystems will be unaffected by the discontinuation. We will continue to monitor the situation and to keep you updated.